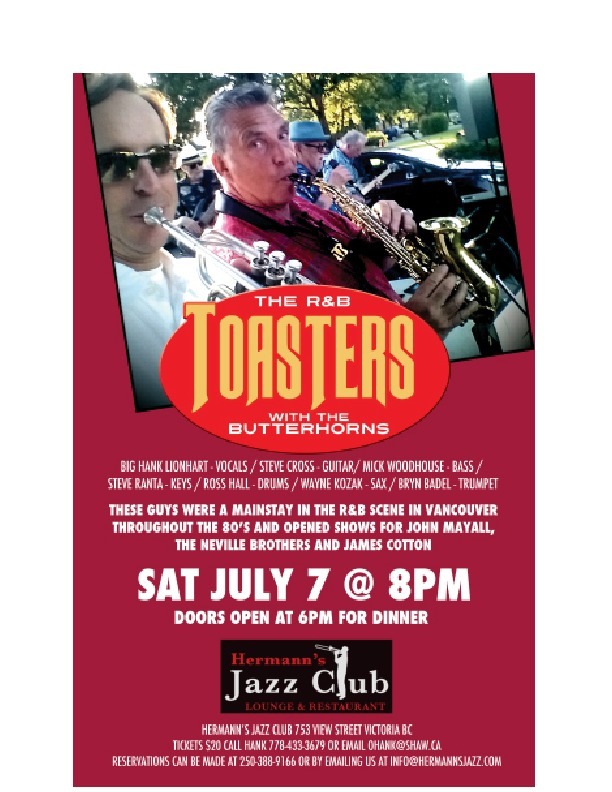 Event Archive - The R&B Toasters and Buttherhorns: The Toasters are Big Hank Lionhart - Lead Vocals. 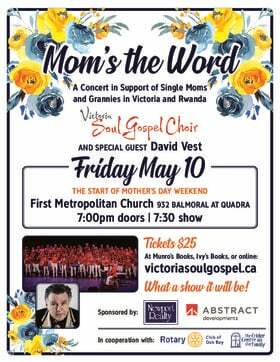 Steve Cross - Guitar, Mick Woodhouse - Bass, Steve Ranta - Keys, Ross Hall - Drums, and the Butterhorns are Wayne Kozak - Sax and Bryn Badel - Trumpet. 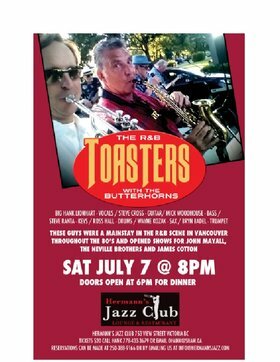 The R&B Toasters and Butterhorns were formed in 1983 in Vancouver BC. They were a mainstay in the Vancouver A Circuit Blues Scene for the better part of 12 years. They have remained active since those days playing a few tours a year. They continue to write and record together. They pack the dance floor where ever they play. They have open shows for the Neville Brothers at Expo 86, Koko Taylor and John Mayall at the fabulous Commodore ballroom in Vancouver. They never fail to impress their audience with sharp musicianship and stellar harmonies. Butterhorns are Wayne Kozak - Sax and Bryn Badel - Trumpet. The band website is currently under Construction.